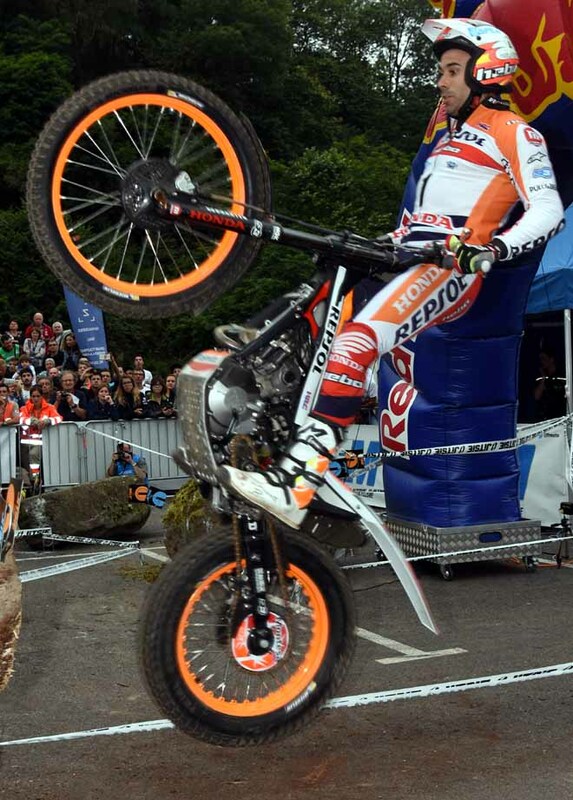 Spain's Toni Bou - Repsol Honda produced a miraculous performance to top qualification at TrialGP France in the spiritual town of Lourdes, round four of the 2017 FIM Trial World Championship. Having watched his team-mate Jaime Busto set what appeared to be an unbeatable time over the indoor-style section, Bou - the defending FIM Trial World Champion - produced the perfect combination of speed and precision to break the timing beam 0.75 of a second ahead of his compatriot. It is the first time Bou has topped qualification and means he will start tomorrow's Trial at the back of the field, handing him an all-important advantage following his first defeat of the season at TrialGP Andorra last week. "I'm happy to take pole because it is important for tomorrow," says Bou. 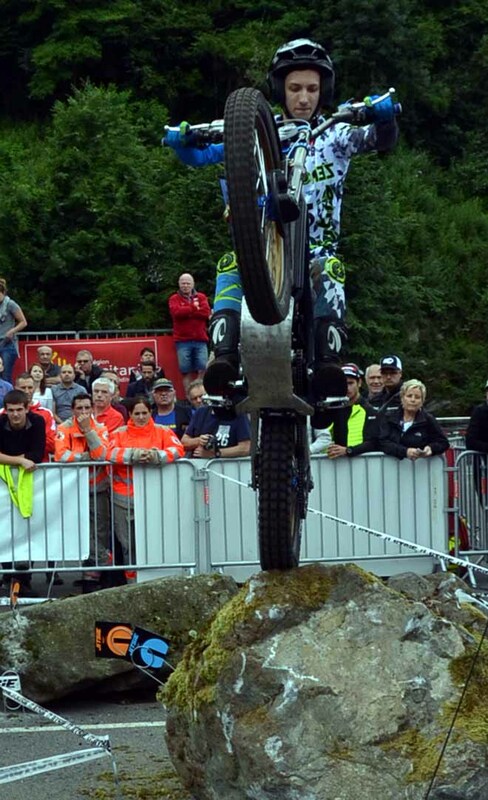 "After being beaten in Andorra it is also important for my confidence. At the last three rounds it's been possible to finish in the top two or three without taking too many risks, but today I knew I had to push very hard." Made up of rocks, logs and imposing concrete blocks, the town centre section attracted a huge crowd and they were not disappointed by the most dramatic qualification so far. With the grippy tarmac surface making it hard to turn quickly and clean rides coming thick and fast, there were a number of close calls as the best Trial riders on the planet pushed themselves to the limit. With the running order decided by a ballot Spain's Jeroni Fajardo - Vertigo started first and set the benchmark time of 0:30.84. Japan's Takahisa Fujinami - Repsol Honda came closest to beating this with a 0:31.16 before Adam Raga - TRRS, starting eleventh, took a new line off the concrete block into the final turn to go top with 0:30.13. Any hopes the Spaniard might have entertained of topping qualification were crushed two riders later when Busto put in a sensational time of 0:27.61 and the former FIM Trial World Champion was then pushed back to third by Britain's James Dabill - Gas Gas who was timed at 0:29.29 before Bou stunned his rivals, the crowd and over 40,000 online viewers with his winning run. 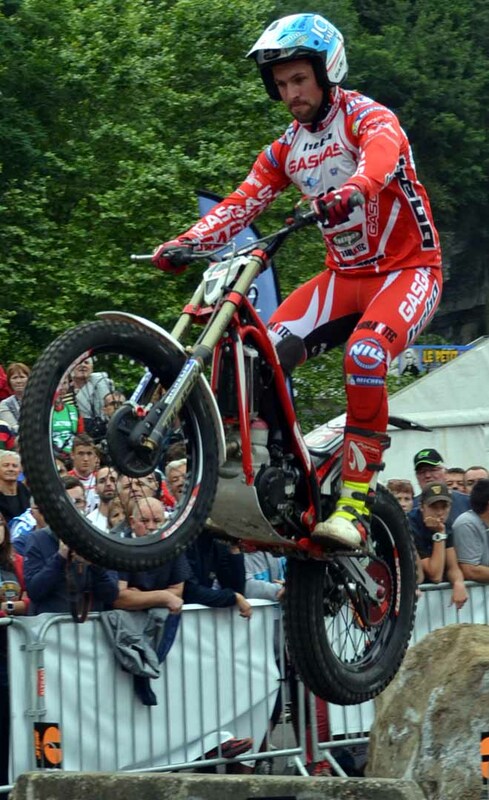 The biggest loser was Spanish podium contender and former TrialGP France winner Albert Cabestany - Sherco. He will be first away tomorrow after his rear tyre came off the wheel rim just metres into the section handing him the only maximum. 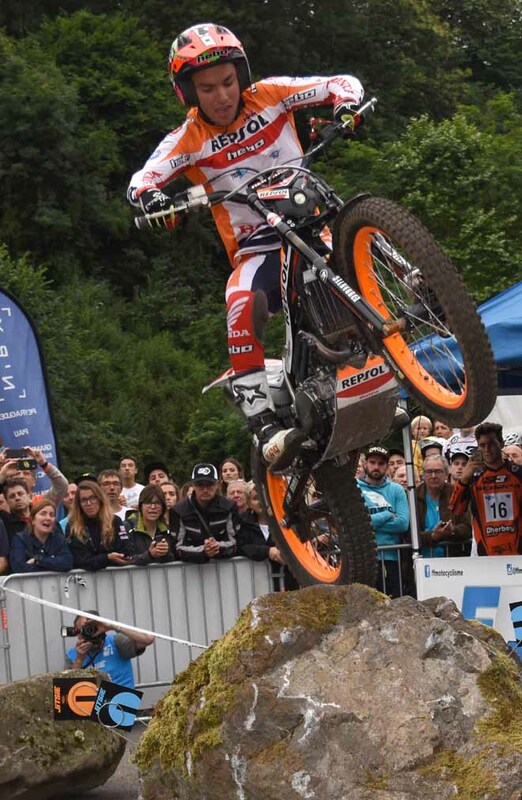 Riding an eased route Norwegian Hakon Pedersen - Gas Gas took victory in Trial2 by over half-a-second from Spain's Gabriel Marcelli - Honda with Britain's Toby Martyn - Vertigo third. Championship leader Iwan Roberts - Beta from Britain was fifth as his closest title rival Gael Chatagno - Gas Gas recorded a disastrous maximum and will lead the field away tomorrow. 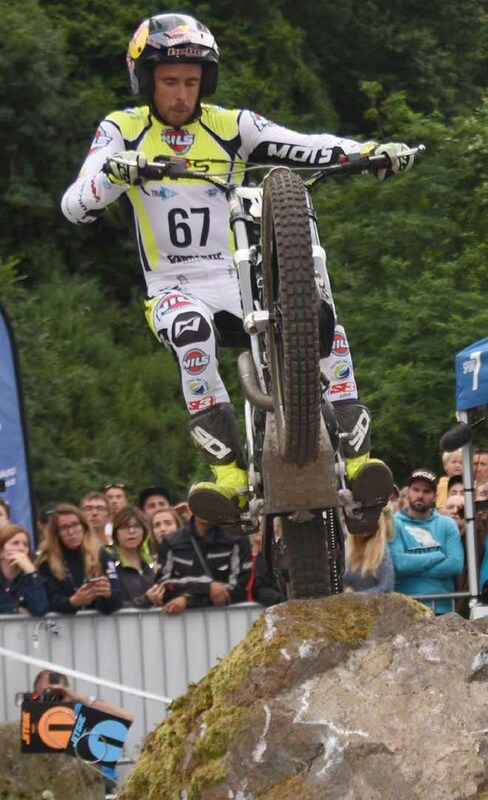 Trial125 was won by Germany's Jarmo Robrahn - Gas Gas ahead of France's Fabien Poirot - Gas Gas and Eric Miquel - TRRS from Spain. 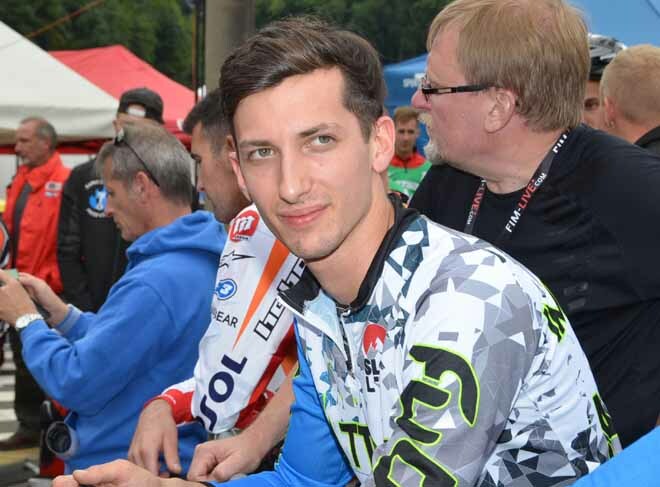 Currently second in the championship, Britain's Billy Green - Beta was fourth which will give him a big advantage tomorrow over leader Lorenzo Gandola - Scorpa from Italy who's single mark dropped him to eighteenth which will see him start fifth. In the first ever FIM TrialE Cup victory appeared to be assured for 1996 FIM Trial World Champion and three-time FIM Indoor Trial World Champion Marc Colomer - Gas Gas but despite recording the fastest time a missed gate at the start of the section cost him a maximum. 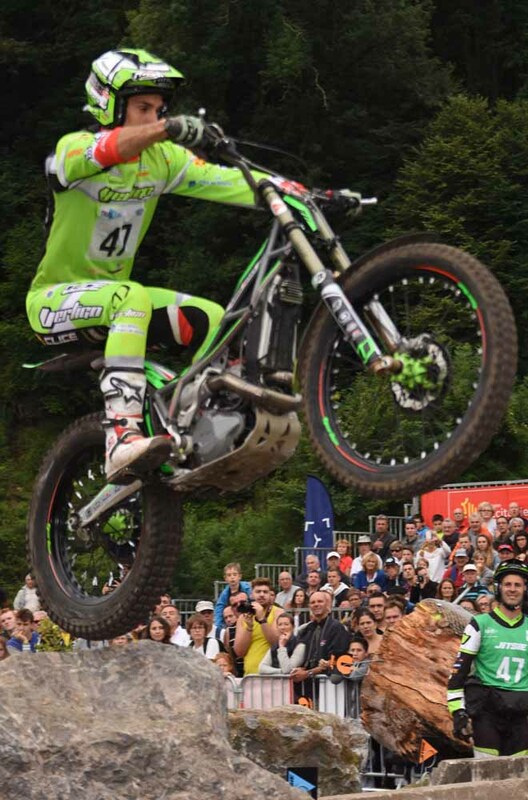 Instead Italy's Matteo Bosis came out on top ahead of his fellow Electric Motion riders, Frenchmen Bastien Hieyte and Jerome Delair. Gli altri Italiani oggi poco brillanti in qualifica. A Grattarola scappa un piede, così a nulle vale il suo ottimo tempo.In Trial2, Petrella gira a zero ma il suo tempo è solo il nono. Un punto costa a Locca e Corvi il 15-esimo ed il 16-esimo posto. Nella Trial125 anche il nostro leader Gandola paga caro aver posato un piede, scivola al 18-esimo posto. Rabino gira a zero ma è undicesimo.